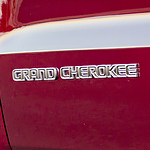 Sport utility vehicles have a growing fanbase, and the Jeep Grand Cherokee is among the more popular SUVs available to consumers. Marine Chrysler Dodge Jeep RAM wants to make it easy to explore your options for a minivan that is designed to keep you and your family safe and comfortable as you drive around Vancouver. 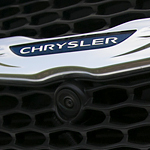 The Chrysler Pacifica is made of dual-phase lightweight steel that will protect you in the event of a crash. The safety frame offers an exceptional level of impact protection. Are you struggling to find just the right car to take you around in Vancouver? Are you looking for the kind of car that you can be proud of and also the kind of car that will keep you happy while you are driving? 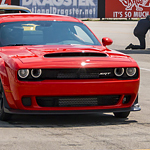 Come to Marine Chrysler Dodge Jeep RAM and get to know the popular muscle car that is the Dodge Challenger. You will be impressed with this car's interior. Finding the perfect compact SUV is important. You want to purchase something that you will love and that you will want to hold onto for a long time. 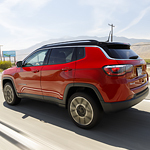 Come to Marine Chrysler Dodge Jeep RAM and get to know the Jeep Compass and its exterior features. The roof line of a vehicle can help it stand out from all those that are parked beside it. The beautiful sloping roof line of the Jeep Compass helps this SUV be unique. This vehicle was thoughtfully designed and its exterior shows that. Even if you are an excellent driver, you can’t be everywhere at once. Sometimes circumstances on the road change suddenly and can place you in danger of having an accident. 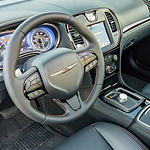 Advanced safety technology is only one of the reasons why the Chrysler 300 is one of the most popular full-size luxury class cars on the market. Advanced safety technology helps keep a lookout with features such as blind spot monitoring and parking assist technology. 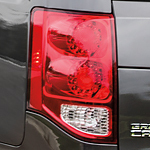 These features will alert you if the path is not clear when you change lanes or are backing out of a parking spot. Dodge understands the desire to customize your vehicle to your exact specifications. That is why this popular family minivan now boasts a variety of feature packages designed to appeal to every driver. The Grand Caravan enthusiasts at Marine Chrysler Dodge Jeep RAM are well-equipped to help you to choose the best feature package to meet all of your personal needs and preferences. The Ram 3500 is a leading heavy-duty pickup that provides an excellent balance of power, function, and convenience. 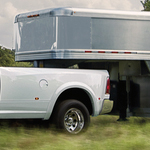 The Ram 3500 has best in class towing capacity for Fifth Wheel hauling at 13,608 kg. The smooth powertrain offers engine power that is critical for big loads, local tasks, and long-distance hauls. If you are someone who likes to do a lot of trail or outdoor driving, you need a vehicle with a suspension that can easily allow the wheel to move up and down while maintaining traction. Far from possessing a stiff suspension, the Jeep Wrangler provides enough “flex” to conquer any type of rough terrain. If you are looking for a vehicle that is going to impress you with its interior features, one vehicle that you should look at is the 2018 Ram 1500. A lot of thought and work has gone into making sure that there are new features that are very useful. If you've been searching for the perfect truck, you understand just how difficult this can be. One of the most important things to remember is that finding a vehicle can take time. 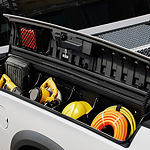 Fortunately, with the Ram 2500, you won't have to look hard. This model comes with many incredible benefits. It's designed to be powerful, strong, and durable. Whether you want to haul your boat, help someone move, or just enjoy driving, you'll be able to accomplish it all in the Ram 2500.